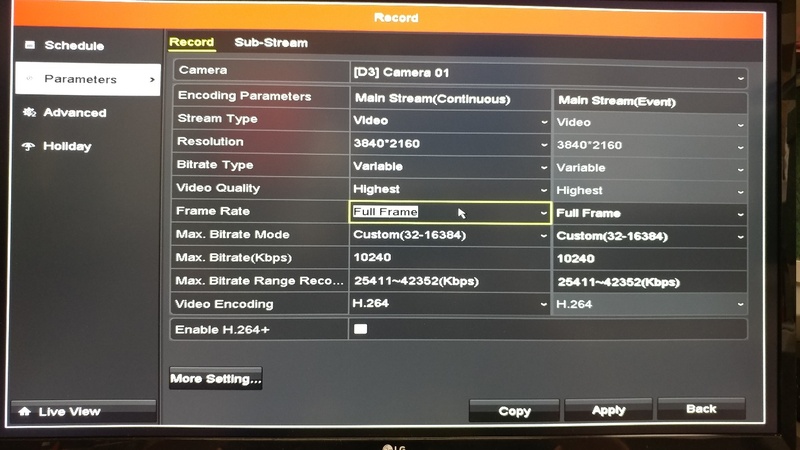 H.264 vs. H.265 Testing and Recommendation - Ellipse Security, Inc. So H.264 vs H.265. We’ve been hearing a lot about H.265 compression and how it’s better than H.264. Well… how do you quantify ‘better’? Seeing hypothetical numbers on paper is one thing but seeing it in a real-world application is quite another. 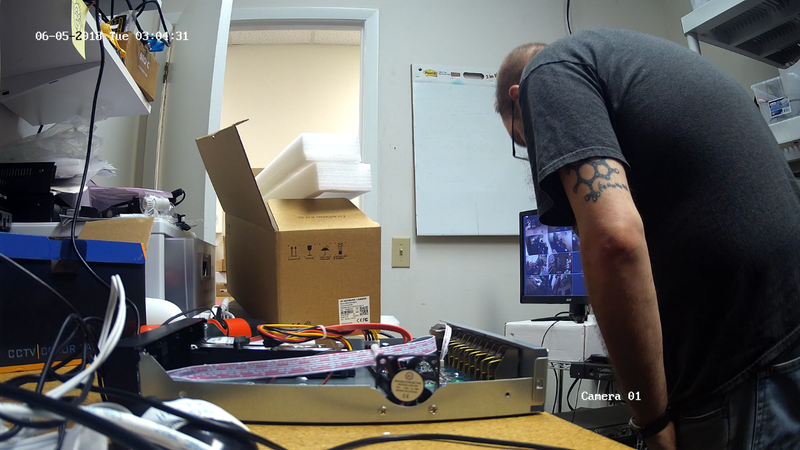 We decided to see exactly what kind of gain we would get in compression on a 4K system. Our test system is a TruView 4K 4ch NVR (THK-NR32P4-4) with a 1TB Western Digital WD10PURX (Purple). Our camera is the TruView 4K NC-328-XB. We’re keeping everything fairly stock, but we’re bumping up the recording quality to ‘Highest’ and maxing out the frame rate. Essentially, we want to make sure that there’s a good amount of drive space being taken up. The picture above is for the first 24 hours on H.264. We formatted the hard drive and began the test at 4:15PM. Again, this will run for a full 24-hour period, and we’ll record how much drive space was taken up. Then we’ll run the same test with H.265 compression and see how it differs. You may be wondering what exactly H.264 and H.265 are. H.265 takes this a step further. So, what does that mean exactly? In the most oversimplified way that I can think to put it, it’s an encoding method that allows video to look great while not taking up as much storage space. Older encoding methods, for example MPEG-2, take up quite a bit more storage space than MPEG-4. 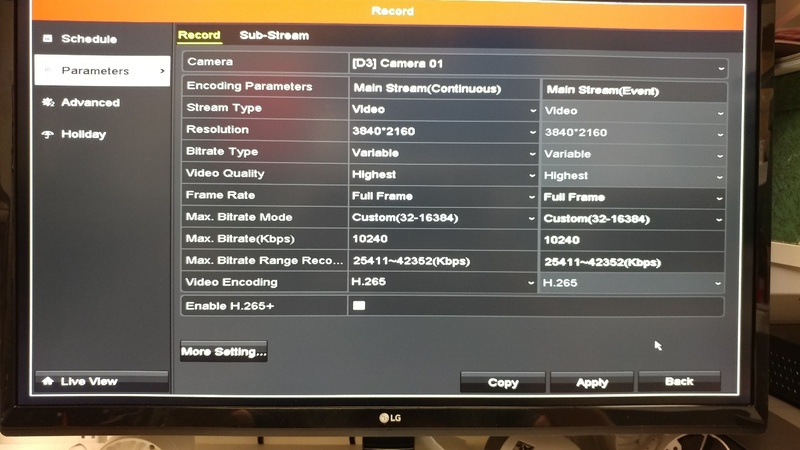 With the introduction of H.265 to the CCTV world, it could mean much more efficient hard drive use. Especially for those who need a couple of weeks of video on hand. Or for those who need to store video for even longer periods of time. Some industries require a month or more for storage. This becomes even more significant in larger installs with 30 or more cameras. Now that we have our first day finished, let’s switch over to H.265, format the HDD, and begin the wait. The only thing we’re changing here is H.264 to H.265. 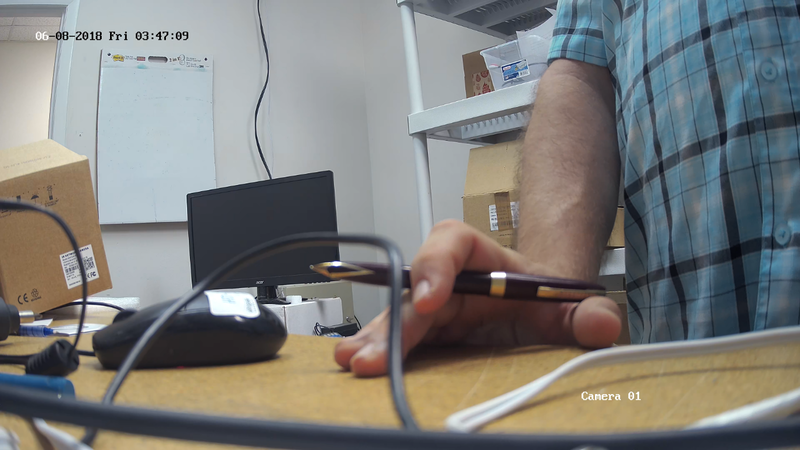 While we’re waiting on the H.265 video to finish up, let’s check the video quality of the previous recording. In my opinion, the video looks good. Pretty much as expected for this camera and this compression. You can even make out the small lettering in my tattoo. Let’s see how the H.265 turns out. We wanted to see what kind of HDD use we would get over the weekend, so we left the camera running. From 6/7/18 @ 3:10PM to 6/11/18 @ 9:30AM, the drive only used a further 44GBs of storage space. So in total, less than 70GB of storage for about three and a half days. 34GBs less than H.264 took up within 24 hours. It should be mentioned at this point that both sets of data were gathered in a room with very little motion. This space savings does come at a bit of a cost, though. The processing power needed to achieve this level of compression is fairly high. Quality doesn’t suffer as much as you may think, but there is a difference. Here’s how I’d personally break this down, at least until the processing concerns are settled. 5 of those cameras are in important areas that need to be recording 24hrs a day. We’ll call this Group A. 27 are for overview or in areas that aren’t going to be occupied at night or on weekends. This will be Group B. My recommended set up would be to keep Group A on 24 hour recording on H.265, and keep Group B on motion recording with H.264. This would allow coverage where it’s needed and conserve HDD space. It would also conserve CPU usage. Like I said earlier, some people may not be as concerned with disk space, but there are situations where it’s a necessity. In the end, we recommend it if you need the storage space and if you have the resources to utilize H.265.